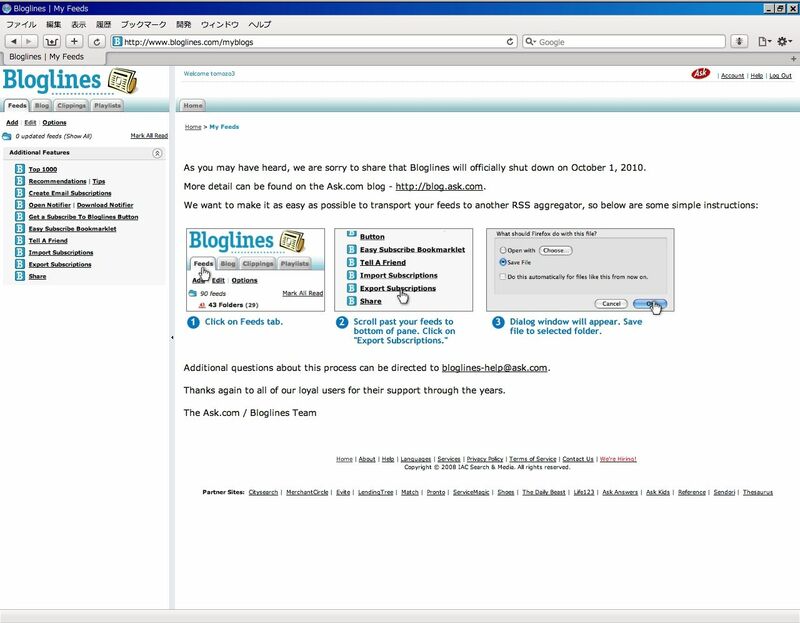 As you may have heard, we are sorry to share that Bloglines will officially shut down on October 1, 2010. More detail can be found on the Ask.com blog - http://blog.ask.com. being locked in an RSS reader makes less and less sense to people as Twitter and Facebook dominate real-time information flow. Today RSS is the enabling technology -- the infrastructure, the delivery system. RSS is a means to an end, not a consumer experience in and of itself. 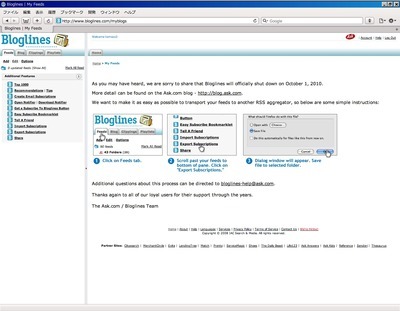 As a result, RSS aggregator usage has slowed significantly, and Bloglines isn’t the only service to feel the impact.. The writing is on the wall.